The plastic diffuser lens can detach and fall unexpectedly, posing a risk of injury from impact. 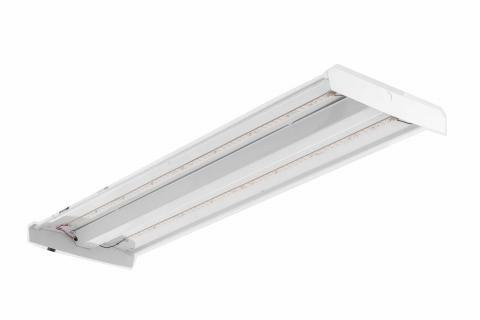 This recall involves Lithonia LED Lighting LBL4W model ceiling light fixtures which are used indoors in commercial applications such as offices, schools, closets, hallways and stairwells. The fixtures are painted white metal and measure about four feet long with a low profile, curved plastic diffuser lens (cover). The plastic diffuser lens measures 4 feet long by 15 inches wide. Only fixtures manufactured between February 2016 and March 2017 are included in this recall. Lithonia Lighting, the model number and the date of manufacture are printed on a label attached to the fixture’s housing. The date code is in the MM/DD/YY format on the fixture’s housing. Consumers should remove the lens and contact Lithonia Lighting to receive a free lens to repair the unit. Consumers should prevent people from going into the immediate area under the fixtures until the lenses are repaired. A video showing proper lens removal and repair is available at www.lithonia.com/LBL4Wvideo. The firm has received six reports of loose or falling diffuser lenses. No injuries have been reported. Electrical distributors nationwide and online through the commercial desk at 1000Bulbs.com, Amazon.com, ATGStores.com, Build.com, HD.com, ShineRetrofits.com, and Wayfair.com from February 2016 through March 2017 for between $150 and $200. Lithonia Lighting, a division of Acuity Brands Lighting Inc., of Conyers, Ga.
Lithonia Lighting toll-free at 888-876-4181 from 8 a.m. to 5 p.m. ET Monday through Friday or online at www.lithonia.com and click on “LBL4W LED Recall” on the left side of the page for more information.